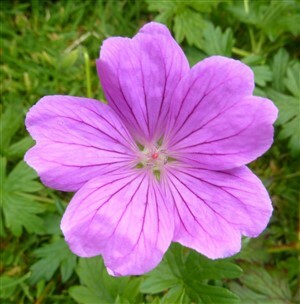 Geranium 'Deux Fleurs' A neat mound forming Hardy Geranium that produces two flowers on the stem of a glowing purple pink. These are produced for many months in summer into autumn. Easy for front of border on any normal soil. Sun or part shade. Very rare and we have been delighted at the growth and beauty of this plant.